I had one of these as a kid and absolutely loved it — I still remember attaching it to an end table upstairs at the old farm house and racing cars for hours. What would you get if you took all of Mattel’s Hot Wheels gravity race sets from the first 3 years of production (1968 Drag Race Action Set, 1968 Hot Curves Race Action Set, 1969 Double-Dare Race Action Set, and 1970 Mongoose and Snake Drag Race Set) and put them together? Such a set was never produced or sold in North America. But…in the United Kingdom, the Rosebud subsidiary of Mattel did make one. The 1970 Hot Wheels Twin ‘Chute Action Set. This set has it all. 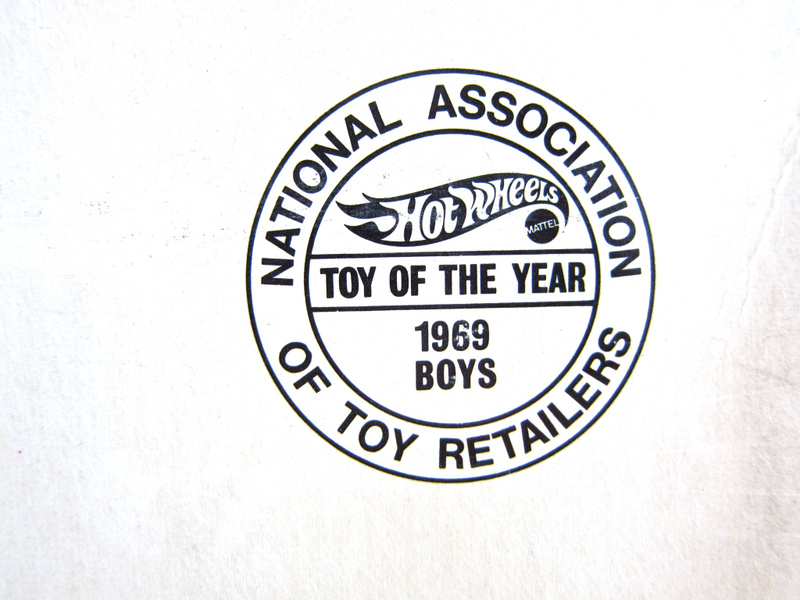 And, in fact, it was judged as “Toy of the Year” for boys by the National Association of Toy Retailers at the 1969 UK Toy Show preview of all the upcoming toys for 1970.